Item # 157438 Stash Points: 3,995 (?) This is the number of points you get in The Zumiez Stash for purchasing this item. Stash points are redeemable for exclusive rewards only available to Zumiez Stash members. To redeem your points check out the rewards catalog on thestash.zumiez.com. 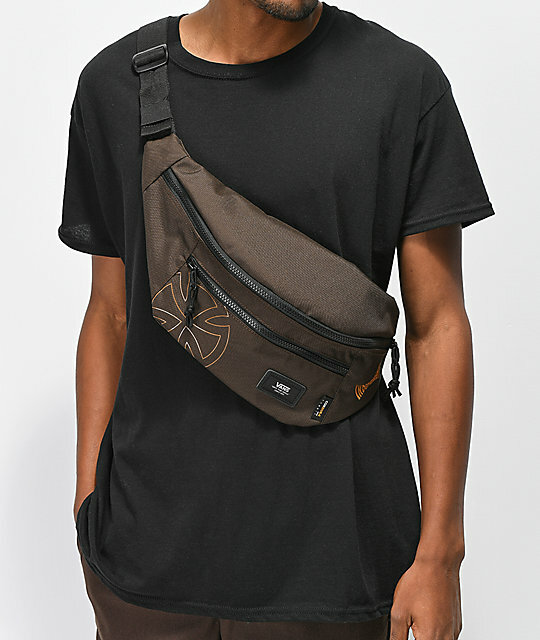 Go hands-free with the Ward crossbody pack from Vans x Independent that can be worn as a fanny pack, over the shoulder or crossbody. 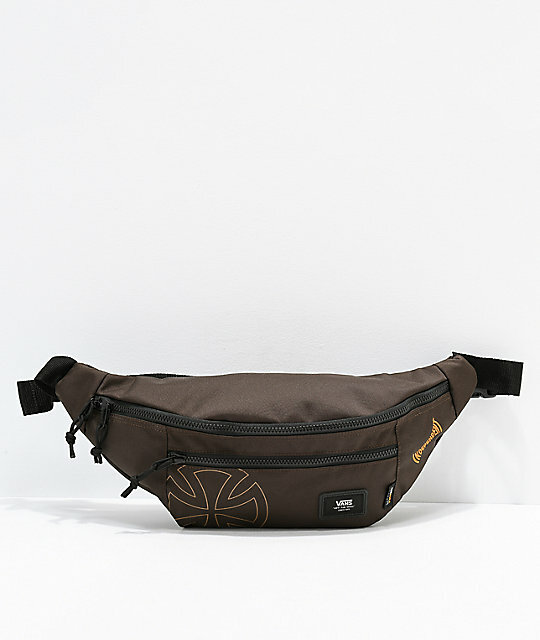 Part of a collaborative collection from Vans and Independent, this brown canvas design offers a roomy main compartment, a front zip pocket and has been finished with Vans and Independent brand detailing on the front. 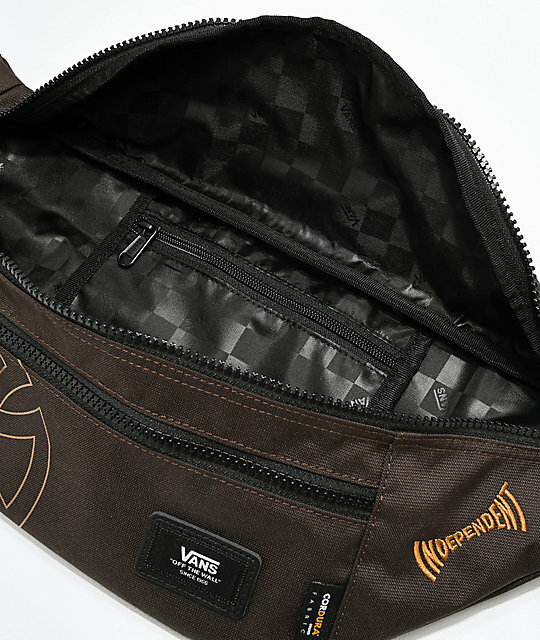 Ward Crossbody Pack from Vans x Independent. Part of a collaborative collection from Vans x Independent. Brown canvas exterior with Vans and Independent logo detailing. Adjustable webbed strap with clip closure. Double zipper main compartment with internal zip storage compartment. 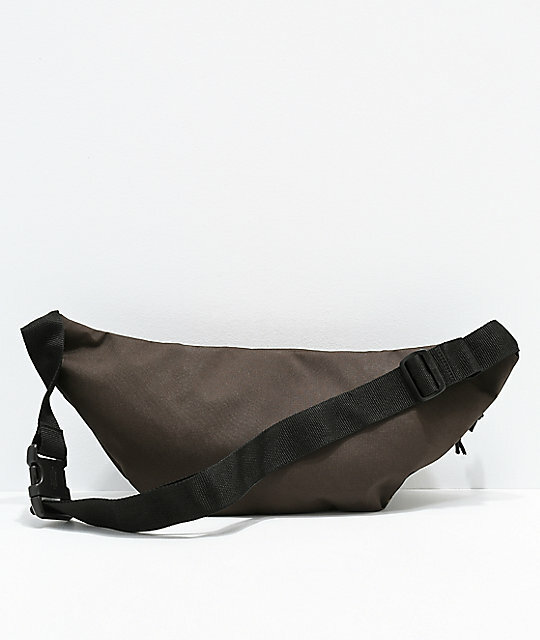 Can be worn crossbody or as a fanny pack. 7" L x 18" W x 4" D | 18cm x 46cm x 10cm.